A silver Carrera Vulcan (black wheels, skinny Conti sports contact tyres, Flite TT saddle & big red flat pedals, LX cranks, XT mech, Avid Vs) was nicked from outside the Dolphin centre yesterday evening – all locked up through both wheels & the frame. Update: As a result of this theft, we noticed that it was possible to pull the vertical posts apart and so remove a horizontal bar and unthread any locks on that bar. The council have repaired the racks, and have welded the bars in place. Extra: A teenager is appealing for help to find his bike, which was nicked from outside Darlington College a few weeks ago. The Guardian’s award-winning portfolio of podcasts will soon be welcoming a new addition to its ranks. 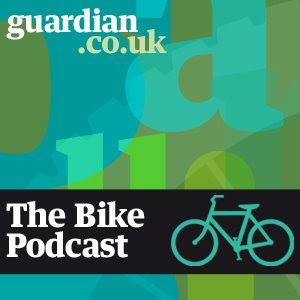 The Bike Podcast will be the first UK-based podcast to cater for everyday cyclists, and the first edition will be available on the brand new Bike Blog on guardian.co.uk on Wednesday 24 June. 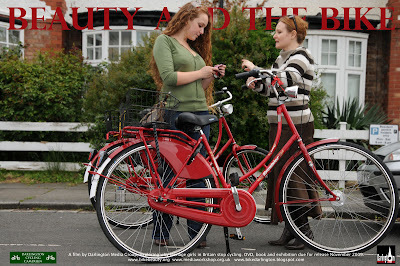 Released monthly, the podcast will feature reviews of new bikes, essential biking accessories, discussion of issues important to cyclists, interviews with celebrity cyclists and reports on cycle holidays and expeditions. The first edition of the podcast includes an interview with Triple Olympic champion Sir Chris Hoy. 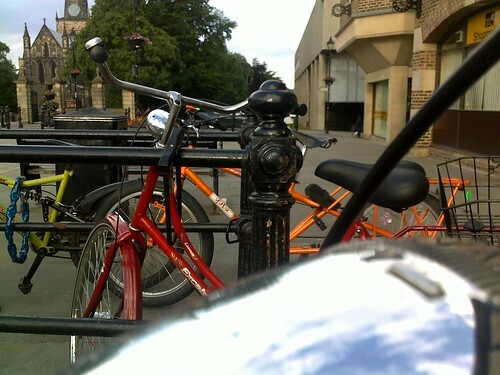 Matt Wells, head of audio for the Guardian, who will also be one of the voices of the Bike Podcast, said: “Like all businesses, the Guardian office is full of staff – including me – who ride their bikes to work, go on cycling holidays or just enjoy cycling in their spare time. Although there are a number of fantastic podcasts out there which do a great job catering for professional and competitive cyclists with high-end knowledge, we began to realise there was nothing aimed at general cyclists. “Unlike other Guardian podcasts, there will be no single presenter and no studio-based links. Everything will be recorded out and about as we’re testing new bikes, speaking to cyclists and generally having a good time on our bikes, which is what it’s all about. TRANSPORT, health and environmental professionals will hear how residents’ travel habits have changed across Darlington during the past five years on Wednesday. A seminar has been organised to hear how the Local Motion project has changed how people travel across the town. 54 miles of beautiful Northumberland coastline. Transport to and from start can now be arranged if booked early. Only £10 to register free refreshments Nike t-shirt and well earned medal. 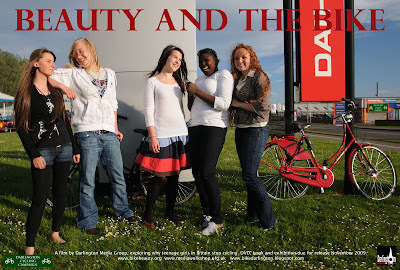 This event started with only 6 cyclists last year 1800 took part comming from all over UK to Northumberland to take part. Would it be possible to give your support to this event or our charity in any way maybe put the word around enter a team? Every penny raised goes to childhood cancer research. Our son was named by Evening Chronicle A TRUE LOCAL HERO. We have raised over £500,000 by events. No funding from lottery, etc. On Saturday, myself and Richard represented the campaign at the CTC/Cyclenation/GMCC spring conference: “Cycling as a solution”. Between the morning’s speakers (Koy Thomson of London Cycling Campaign, Roger Geffen of CTC) and discussions on Health (Joe Mellor, NHS), Wealth (Bruce Macdonald, SQW Consulting/Cycle England), Environment (Richard George, Campaign for Better Transport), Community (Juliet Jardine, CTC) and Style (Amy Fleuriot, Cyclodelic) and the afternoon’s workshops, there was a poster competition. 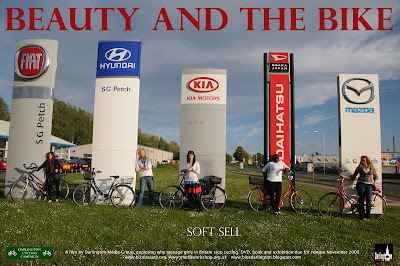 We entered four posters for the campaign-supported Beauty and The Bike film and won first prize as the poster with the most votes from delegates! 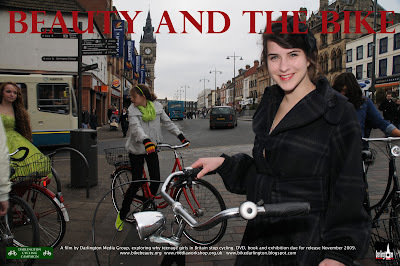 Special praise should go to Darlington photographer Phil Dixon, who is doing the stills work for the project. His photographs, and those of German portrait photographer Sabine Bungert, will feature in a book and exhibition of the same name.